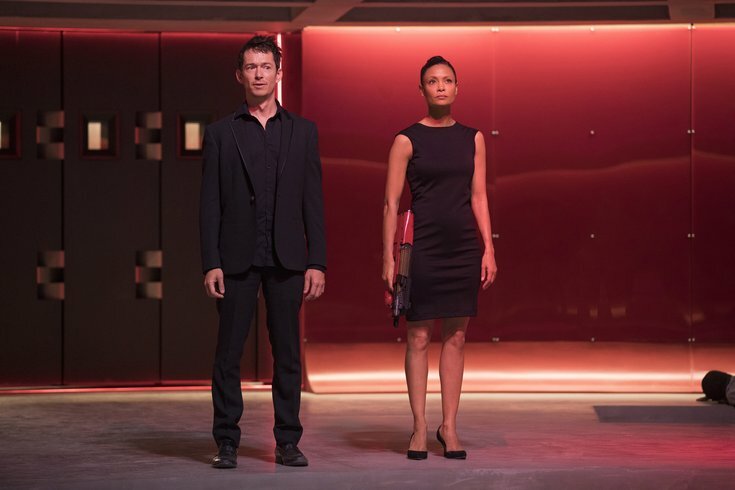 Episode 11 (season 2, episode 1), debut 4/22/18: Simon Quarterman, Thandie Newton. In case you haven't been counting down the days until HBO's "Westworld" returns, we're less than two weeks away from the premiere of season 2. The Emmy-winning drama series will return Sunday, April 22. And the trailer, below, looks so good. Included are the first glimpses of ShogunWorld, which was teased in the first season's finale. Plus, (spoiler alert if you're not caught up) we get a peek at the androids' full-blown revolution. Dolores Abernathy (Evan Rachel Wood) definitely has a dark side. A lucky few in Philly have a chance to re-enter the futuristic park before the rest of us. HBO is hosting premieres of season 2 in three cities across the country, with the Philadelphia premiere happening at the Franklin Institute on Saturday, April 21. "Westworld" cast members Simon Quarterman (Lee Sizemore) and Shannon Woodward (Elsie Hughes) will join fans in San Francisco, Philadelphia and Boston for a special advance screening of the new season followed by a Q&A session and an after-party styled as the Mariposa Saloon. There will be themed cocktails and single malt whiskey. Guests can also partake in a personality assessment to determine whether they receive a black or white hat. Sadly, the event has already reached capacity. Fans were asked to RSVP through a Facebook post on the official "Westworld" page. But, hey, at least the wait for season 2 is almost over. Some people choose to see the ugliness in this world. Let's choose to see the beauty.